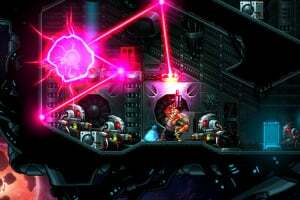 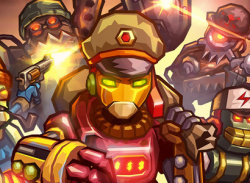 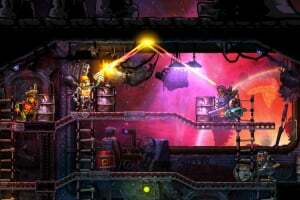 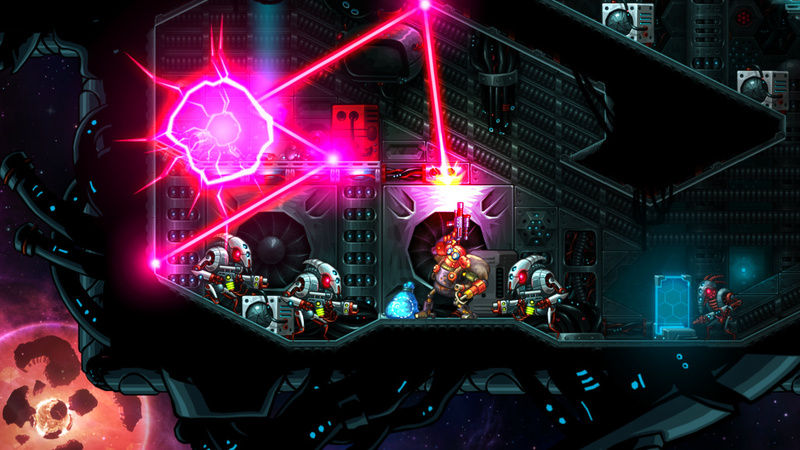 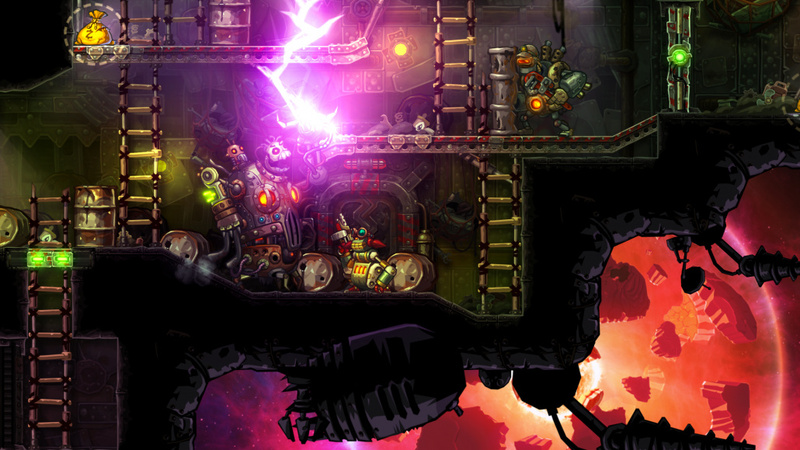 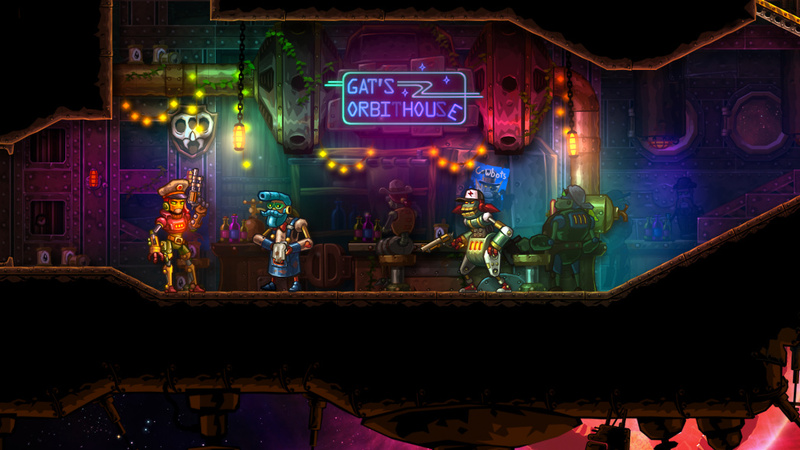 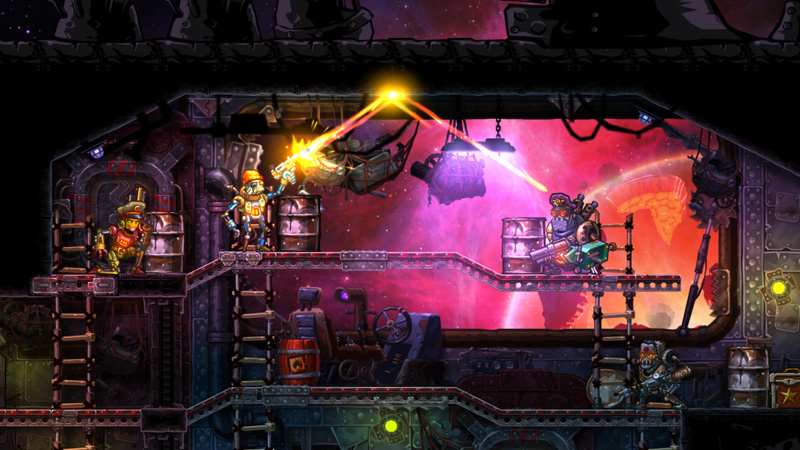 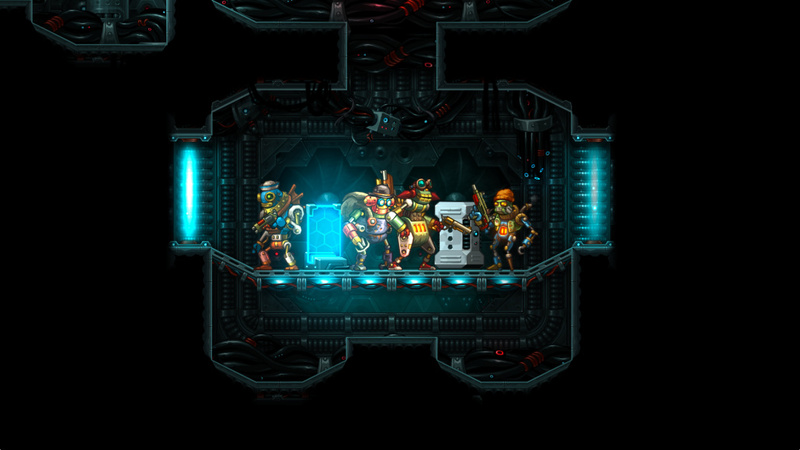 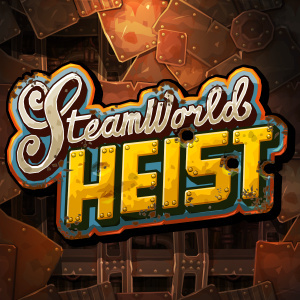 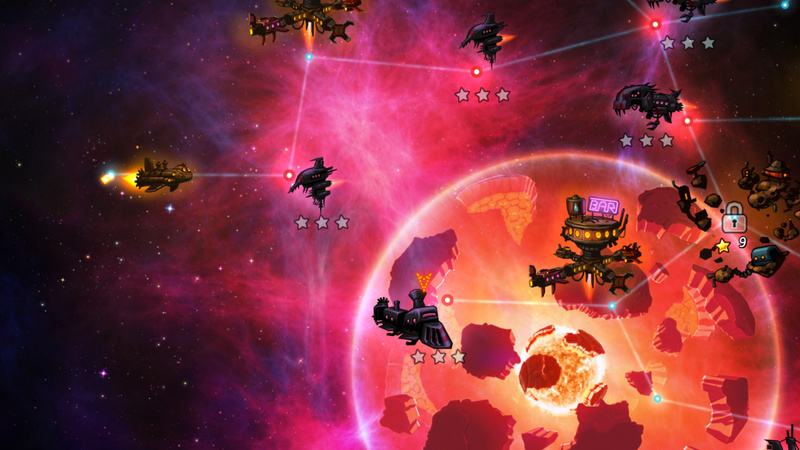 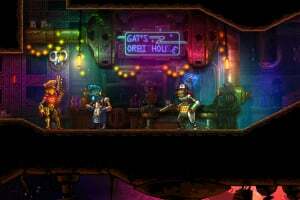 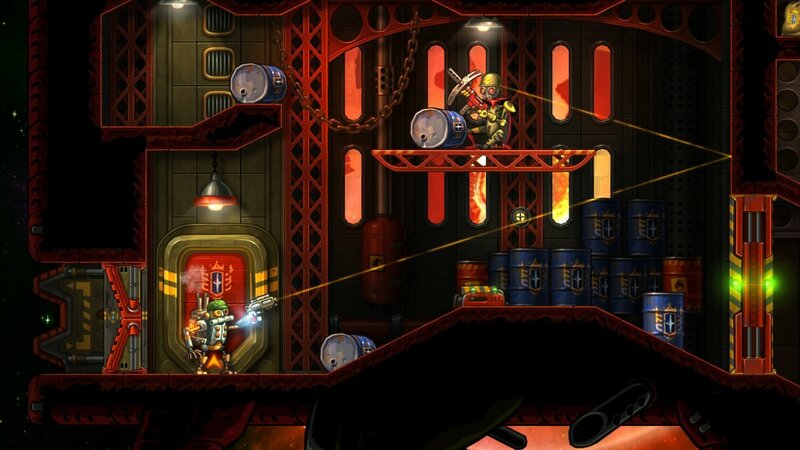 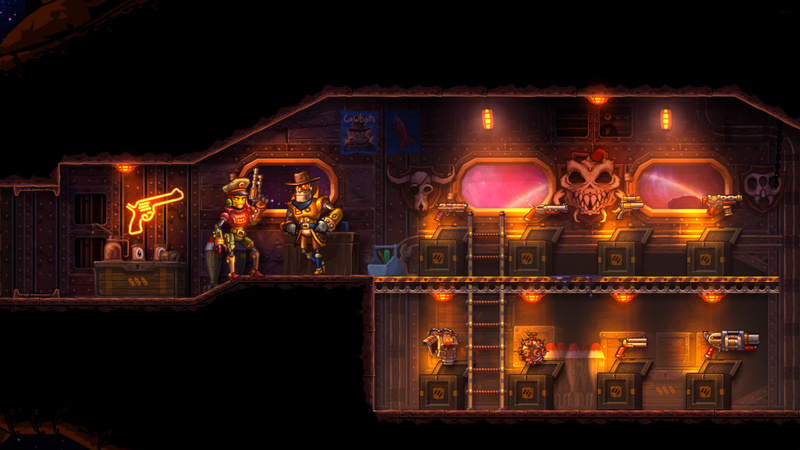 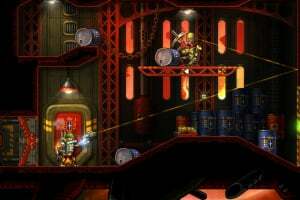 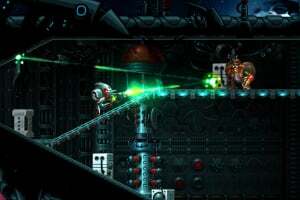 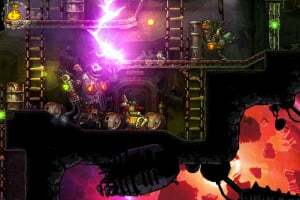 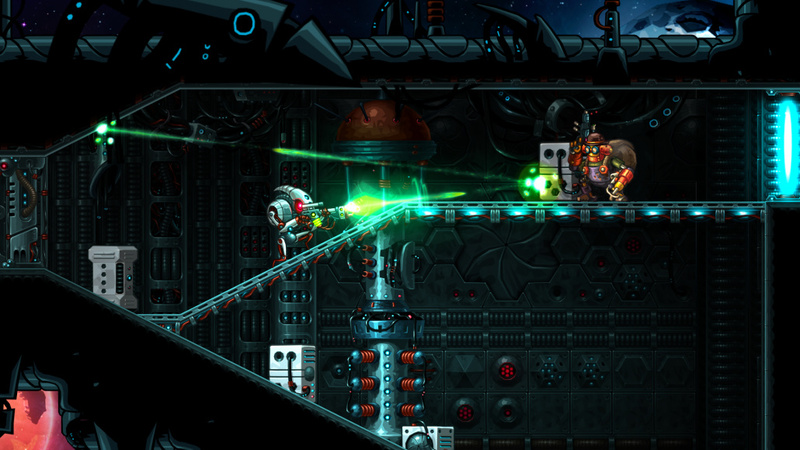 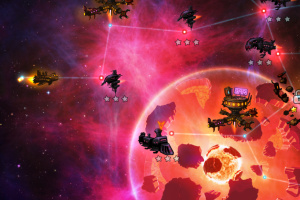 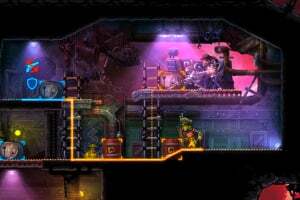 Taking place some time after SteamWorld Dig, a cataclysmic event has shattered the planet and forced its population into steam-driven spaceships. 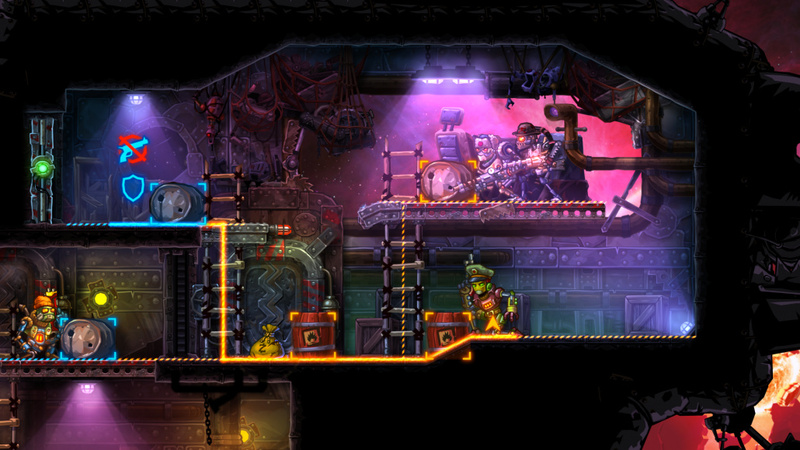 It's a robot-eat-robot world out there, and water is desperately hard to come by. Heisting other ships and bases - bad guys fortunately, the lot of them - is their only way to remain in operation. 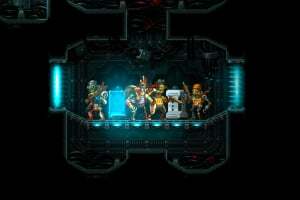 I can't wait to find out more about this game!